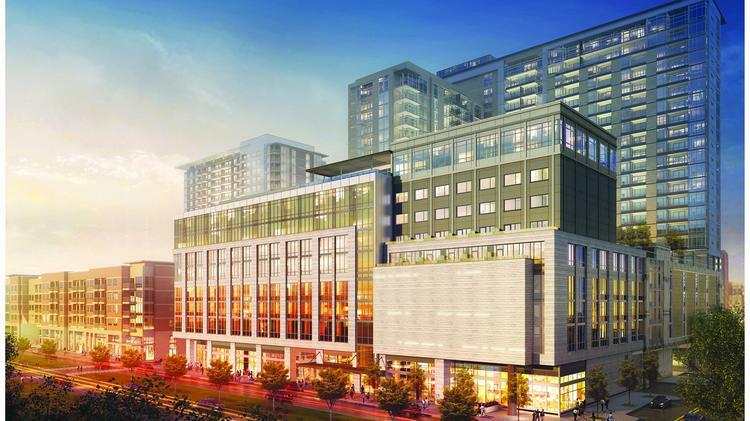 Take a sneak peek at Canopy Dallas|Uptown, soon to join the Dallas skyline later this year! Visit our Vimeo below to view the new flyover for Canopy Uptown Dallas. Construction is coming along, and should be finished by the end of the year! We are pleased to share our new commercial for The Villages of Lake Highlands Senior Living! Take a peek at our signing event with Canopy Dallas | Uptown in May at The Rustic, brought to you by Blue Logic LLC! Last Thursday (5/19), professionals from across the real estate and hospitality sectors gathered to join The Javelin Group in welcoming Canopy Dallas | Uptown to its soon-to-be home in the West Village. The event took place at The Rustic, a restaurant and music venue whose Dallas flair speaks to the local spirit that embodies the Canopy brand. Attendees sipped cocktails and tasted croissant sandwiches, frittatas and other delectable appetizers crafted by Canopy chefs. President of The Javelin Group, Alan Naul, and Global Head of Canopy by Hilton, Gary Steffen shared remarks about the exciting new project. The 150-room hotel is predicted to open fall of 2017. Welcome to Dallas, Canopy! Opening Fall 2017, Canopy Dallas | Uptown will be joining the neighborhood, offering a one-of-a-kind stay to the traveler in search of a vibrant local experience. The Javelin Group is excited to be involved in the development of a new nine-story, 150-room hotel with a connected 24-story, 389-unit residential tower in the West Village. Celebrate the holiday season by giving back–start helping seniors in your community today! There are many opportunities to volunteer to make a difference in the lives of elderly in cities near you.